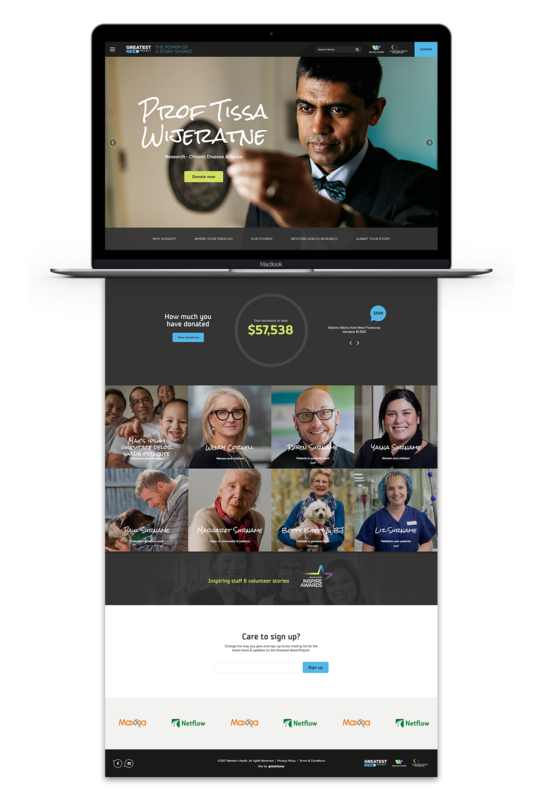 Grindstone was engaged by Western Health to develop the brand and fundraising platform for the Greatest Need Project. The Greatest Need Project is an alternative fundraising avenue outside of the traditional events supported by Western Health. 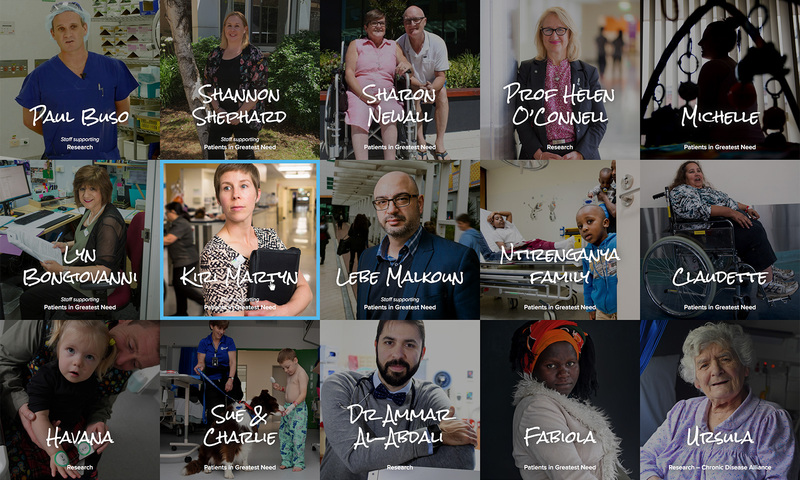 The aim was to develop a storytelling platform that enabled individuals and organisations to share their stories through their own networks and raise funds for Western Health. 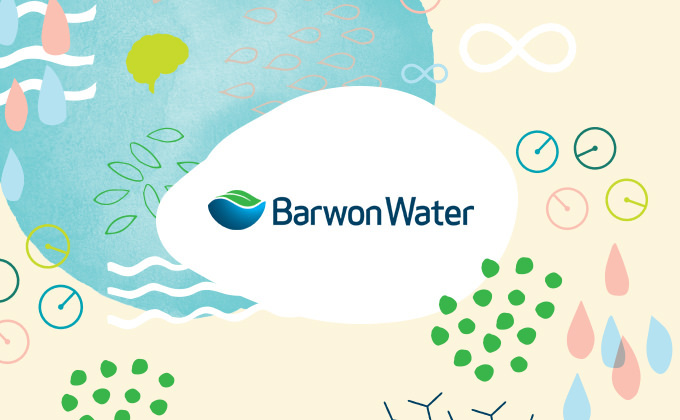 The project began with Grindstone’s brand development process to firstly establish the brand name and visual identity. A simple but powerful byline ‘The Power of a Story Shared’ was conceived as a call to action across platform and communications channels. Extensive work was undertaken on the platforms information architecture and user journeys, supported by broader communications and social strategies. This created a framework for the brand to communicate to key audiences across a range of channels. 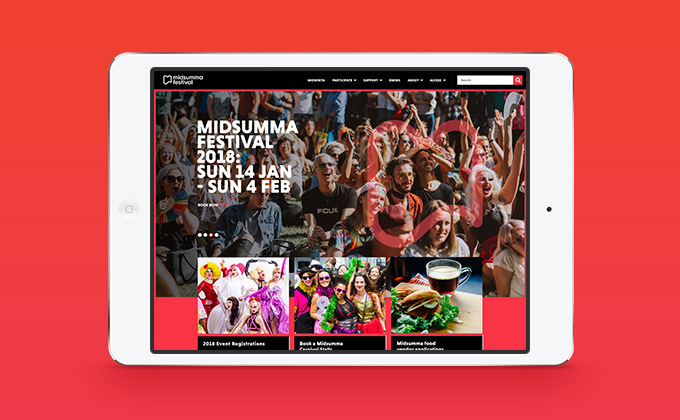 Grindstone developed a fundraising website that built on industry leading best practice and further customised for the needs of the client. 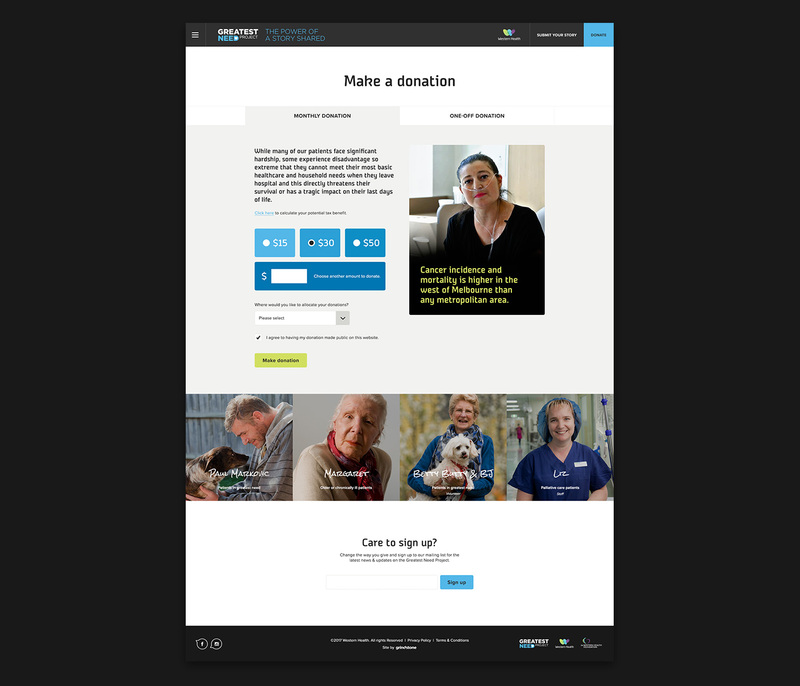 This complex site enables fundraising for the Greatest Need Project through staff, corporates, patients and families, research communities and the broader community. The design approach allows for stories to be told through the power of the images and simplicity of words. 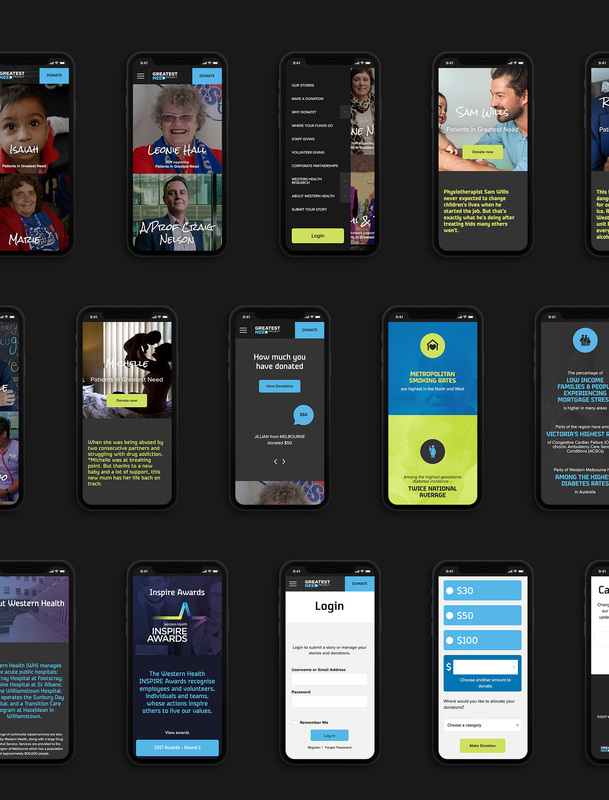 The end result is a dynamic, peer-to-peer fundraising platform supported by a robust content strategy leveraging the power of social engagement. The Greatest Need Project is a dynamic, peer-to-peer fundraising platform supported by a robust content strategy leveraging the power of social engagement. The subtlety of the visual identity allows the storytelling to be told through the power of the photos and words.